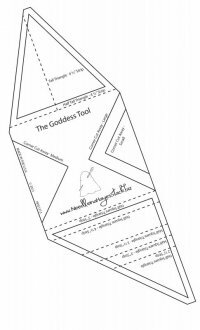 Wool Pressing Mat 12" x 18"
The Goddess Tool for purchase is an acrylic tool. It is made in the United States and fits perfectly in a Priority Mail envelope for shipping. 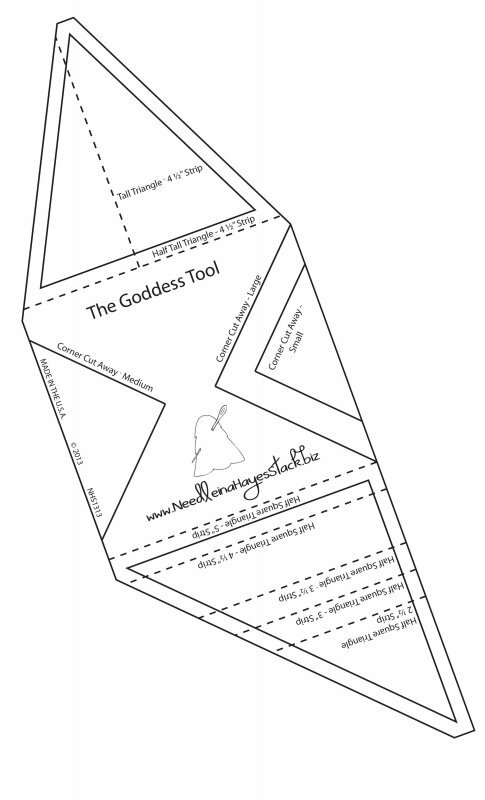 Print out your own paper template of The Goddess Tool. 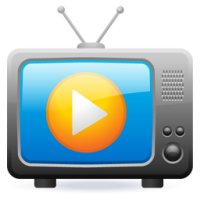 Click on the tool below. Many copiers change the size of the document by 2 % - 3%. Please make sure your template is the right size before attempting to cut your fabric. From side to side this tool needs to measure 5” wide. From end to end this tool needs to measure 14 1/8”. I suggest you trace this shape and all notations onto a piece of template plastic. Cut out the shape on the outer lines. You can then use it as you would the acrylic tool. size of your shapes and decrease your accuracy. Shipping is available for outside the United States. After you place your item in the cart and provide the address, shipping charges will be available.